Fan theories are something that frequently abound in works of fiction. They are the readers attempt to rationalise the fridge logic or plot holes found within many stories. With regards to the animorphs series by katherine applegate (the 3rd most successful adolescent novels of all time), one frequently asked question was where the animorphs home town was. 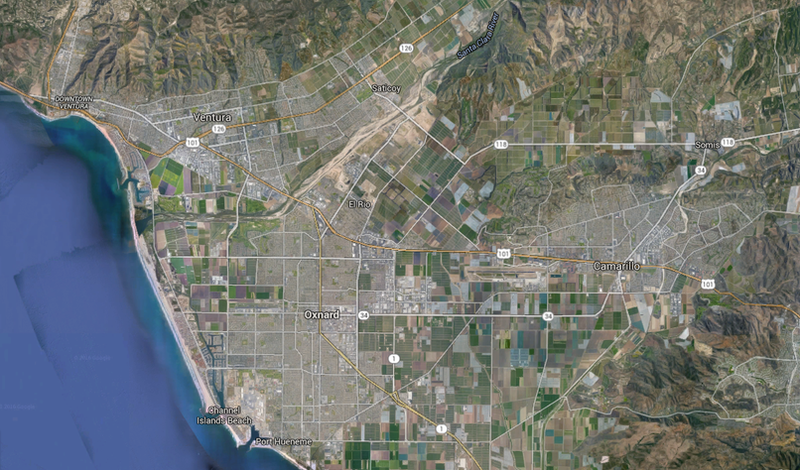 All we knew is that they lived in south california, in a medium sized city near the coast. Anything more explicit than that was left to the readers imagination. 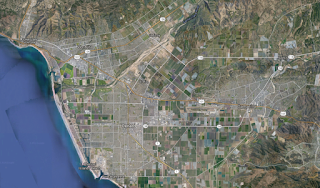 In a previous post, I determined that the geography of ventura county was an almost perfect match for where the books events took place. Along with the citys generic infrastructure (a downtown area with high rises, and large suburbs), there were a number of mountains, valleys, rivers, lakes, and islands that served as the backdrop. My goal is to match the geographical features described in the books with what is actually found in south california. Circumventing the 'city of adventure' trope is no mean feat, however, and in order to prove that ventura was the actual city in question, I'll take a look at the land marks which featured in the books and see if they have a real world analogue. If they do, that counts as a win for my little theory. Ship harbor: When the kids find out that an andalite is trapped beneath the ocean in his ships dome, they fly out to a busy shipping lane and stowaway aboard a container ship. This location is obviously port hueneme, the only deep water harbor between los angeles and san francisco. (Nothing else can berth a ship of that size) It also made an appearance in the visser chronicles, when visser one faked her death in a staged boating accident. National forest: This forest sweeps down from the mountains all the way to the edge of town, near the wildlife clinic owned by cassies parents. It features prominently in many of the books, and is home to some of the animals which the kids eventually morph into. Los padres national forest is a good fit, although its located about 7 or 8 miles north of the city (so there is some artistic license). The terrain is quite hilly, with hiking trails and forestry roads. Large river: A river was mentioned in book 4, which ran through the city and out into the ocean. In book 16, joe bob fenestres mansion (which was far inland) had a boat house out on the river front. In book 17, a huge skyscraper and a planet hollywood were located near the river. While the buildings are strictly artistic license, everything else indicates that this is santa clara river. It is somewhat dry and swampy for most of the year, but is prone to flash flooding. Mountain range #2: In book 30, the animorphs manage to lure visser one onto a mountain top where she is ambushed by visser three. The yeerk leaders (who are hostile to each other) engage in battle, as do their troops and ships. This mountain was obviously not hines peak, but some other range a good distance away. Pine mountain would fit the bill nicely, although its really far away from ventura. Air base: In book 46, the animorphs were forced to sneak into a ANG (air national guard) base and hijack an F-16 fighter, in order to fly out to the pacific ocean and stop the yeerks from instigating WW3. Ventura county is home to the channel islands ANG station, which has a runway and control tower, although it only operates C-130 transports and the like (not fighters). 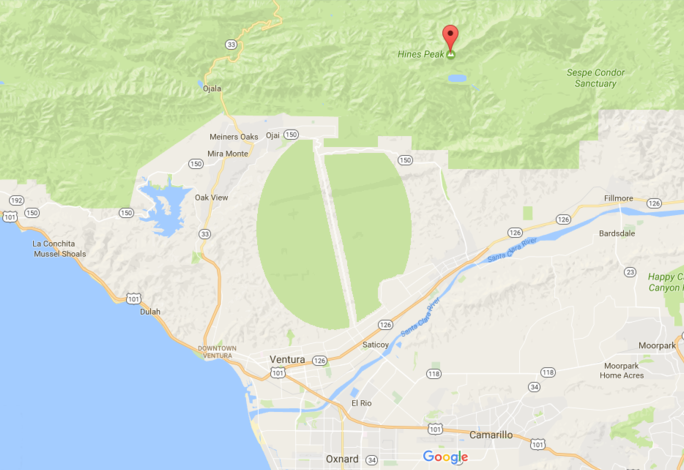 The closest body of water is lake piru, about 10 miles away from the topatopa mountain range. Interestingly, it has a creek which runs through the national forest, and connects to the santa clara river. This is a word for word description of a creek where cassie almost drowned in book 19. They managed to fake the hork-bajirs deaths within a ravine that was near the mountain. The yeerks started a forrest fire to the north, while also sending controllers up from the south. After the fire burned out, the kids travelled north through the burnt forest, where they found the valley. The kids wouldn't have picked anything too close to the hidden valley, as that would compromise the hork-bajir colonys security. But it wasn't so far away that toby and her people couldn't get there on foot and act as reinforcements.